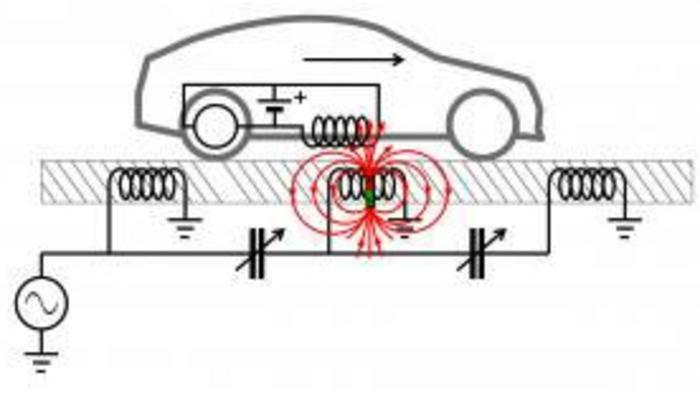 Researchers say they've designed a charging system that could lead to all-electric highways that wirelessly charge cars and trucks as they drive. A team from Stanford University says their system uses magnetic fields to wirelessly transmit large electric currents between metal coils placed several feet apart under the surface of the highway. The technology could dramatically increase the driving range of electric vehicles and eventually transform highway travel, researchers said in a Stanford release Wednesday. "Our vision is that you'll be able to drive onto any highway and charge your car," Shanhui Fan, a professor of electrical engineering, said. "Large-scale deployment would involve revamping the entire highway system and could even have applications beyond transportation." A drawback of plug-in electric cars -- their limited driving range -- could be overcome with the in-road charging system, researchers said. "What makes this concept exciting is that you could potentially drive for an unlimited amount of time without having to recharge," said study co-author Richard Sassoon of the Stanford Global Climate and Energy Project, which funded the research. "You could actually have more energy stored in your battery at the end of your trip than you started with."